Effective Thursday, Kentucky public schools can now teach a course on the Bible thanks to a bill signed by the state's Republican Christian Gov. Matt Bevin. Bevin, said WDRB, gave his blessing to HB 128, also known as the "Bible Literacy Bill," when he signed it into law on Tuesday. The course which will be taught as a social studies elective, will focus on "the Hebrew Scriptures, Old Testament of the Bible, the New Testament, or a combination of the Hebrew Scriptures and the New Testament of the Bible." It is expected to "provide to students knowledge of biblical content, characters, poetry, and narratives that are prerequisites to understanding contemporary society and culture, including literature, art, music, mores, oratory, and public policy." Students will also be allowed to use various translations of the Bible. "The idea that we would not want this to be an option for people in school, that would be crazy. I don't know why every state would not embrace this, why we as a nation would not embrace this," Bevin told a crowd that had gathered to witness the signing of HB 128 into law at a ceremony in the Capitol Rotunda. State Rep. D.J. Johnson, R-Owensboro, who co-sponsored the bill said students need to understand the role the Bible played in American history. "It really did set the foundation that our Founding Fathers used to develop documents like the Declaration of Independence, the Constitution, the Bill of Rights," he said. "All of those came from principles from the Bible." In an earlier interview with the Louisville Courier-Journal he added of the Bible: "Whether you believe that it's the word of God or you think it's complete fiction, you can't deny the impact it's had on our culture." The ACLU of Kentucky however is concerned about how the course will be implemented. "Right now the language of the bill is very vague and the Kentucky Department of Education has not yet put together a curriculum," Amber Duke of the Kentucky ACLU told NBC News. "The concern, though, is that you could have a curriculum that is constitutional and could be delivered in a manner that is not constitutional." She added: "They will not be teaching about the Koran or the sacred texts of other religions. That would be more of a comparative religions class. This is a Bible literacy class." Other groups like the Kentucky Secular Society, are unhappy about the new course. "This is an opportunity for teachers to preach religion in the classroom," the group said according to NBC News. "If this course is really for literary purposes, it should include other mythologies and literatures that have impacted our culture as well." Supporters of the bill told WDRB however, said the state Department of Education will be helping schools develop the course to ensure there are no "constitutional issues." "As long as we're careful with the curriculum itself, there won't be any constitutional issues," Johnson said. 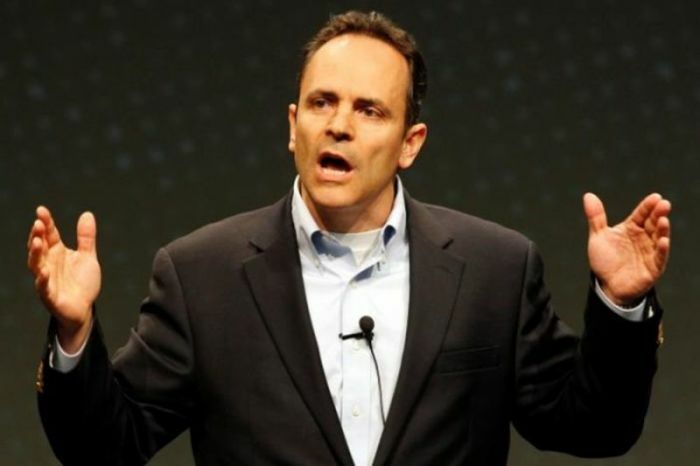 "You could be an atheist, and you would appreciate there's a lot of wisdom in the Bible," Bevin added.